Zaahid Swartland, 4 years old, and his sister Zahraa Swartland, 5 years old, living in Cape Town, both suffered from severe Eczema from the age of 3 months. “At night we couldn’t sleep as they use to scratch, scratch, scratch and sometimes there was even blood on the sheets”, says Faahim, father. Eczema-prone skin is generally dry, and appears dull and rough. During flare-ups, crisis areas appear displaying symptoms of extreme irritation with red flaky patches that first ooze and then thicken and dry up. In infants, these crisis areas are usually on the cheeks, forehead, torso and limbs. When children are a bit older, their large skin folds such as inside the elbows and back of the knees are affected. During flare-ups their skin becomes inflamed and extremely itchy, and it affects every part of their daily life. 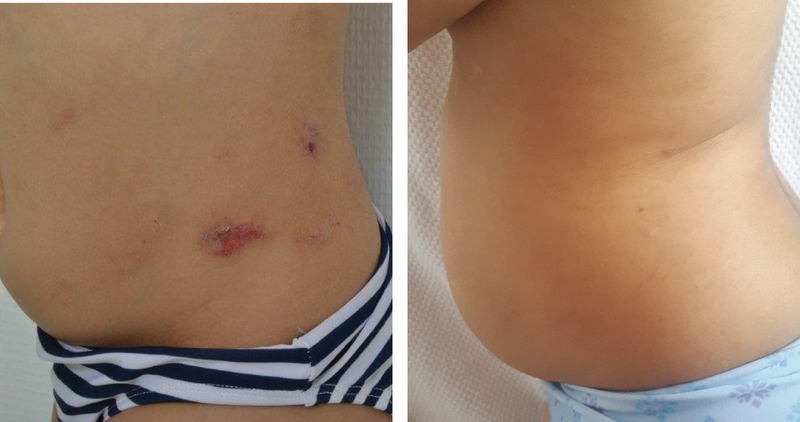 In September 2015, Zaahid and Zahraa, upon the recommendation of their dermatologist, were selected to travel to the Avène Hydrotherapy Center in the south of France, accompanied by their parents, Tougeeda and Faahim, with the hope of finding some relief for their worsening skin condition. During their 3-week stay at the Center, they underwent various therapies, all incorporating Avène Thermal Spring Water, well known for its soothing and anti-irritating properties. (proven by over 150 clinical studies). It has been over 1 year since, and their skin is looking better than ever. To maintain their healthy skin, the children use Eau Thermale Avène products daily. These specialised products comfort their skin and give them relief from the dryness and itching, as well as helping to reduce the number of the flare-ups.